Chasin' Mason: [Happy New Year!] 2017 in Review. Happy New Year, friends! I can't believe it is already 2018. The days are just flying by. One of my favorite ways to keep track of our daily activities (big or small) is to use the Collect App on my iPhone. 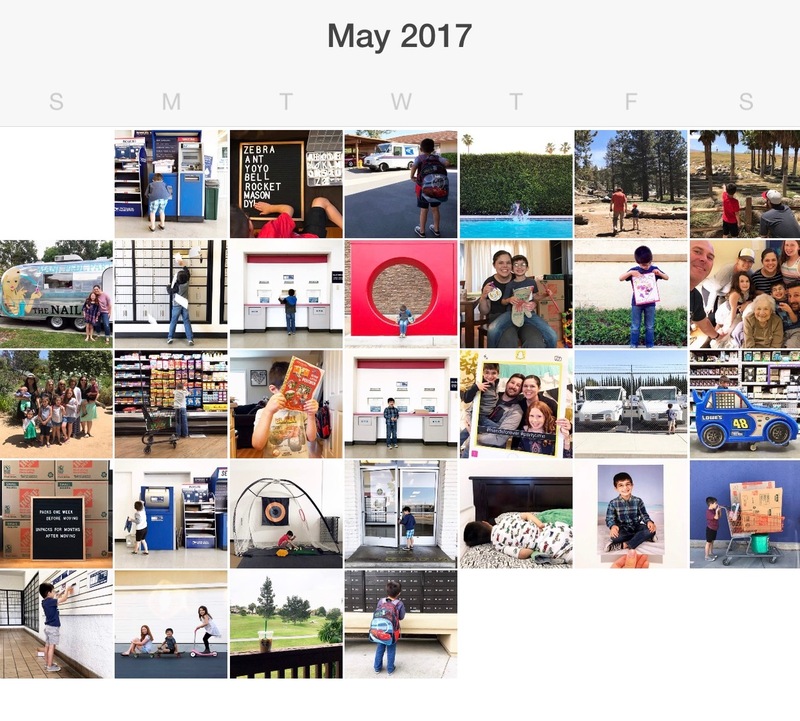 I downloaded it a couple years ago and I love being able to upload a photo a day to have an overview of the year easily accessible. 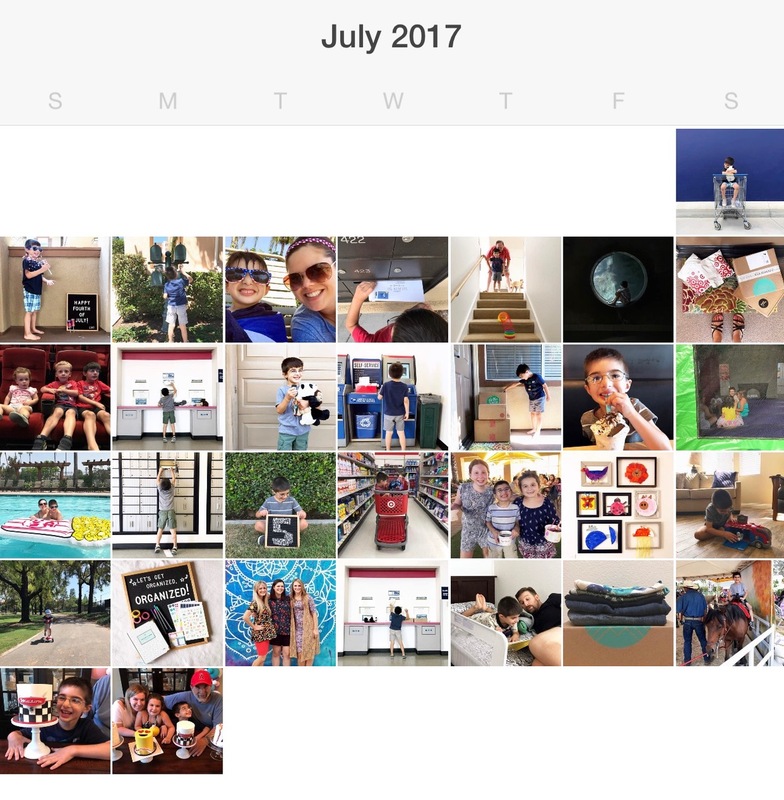 My favorite part of the app is that you don't have to upload the photo on the actual day, so in case you forget (like I do OFTEN), you can upload a few days at a time. 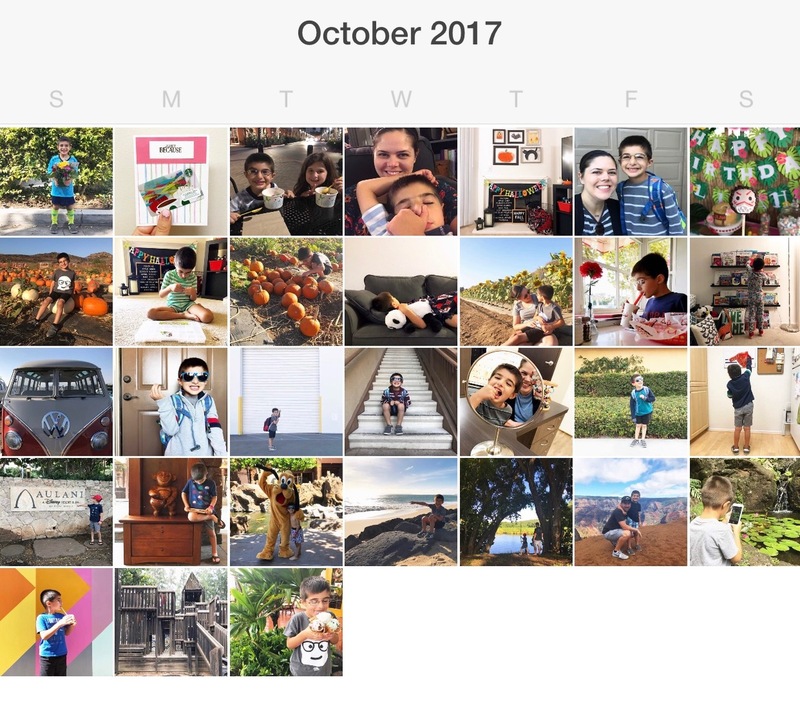 The app automatically accesses your photos and knows what photo was taken on what day and allows you to choose which one you want to represent that day on your calendar. If you haven't used it before, you should check it out. When I downloaded it, it was free (hopefully it still is), it's super easy to use, very user friendly, and I love it! We celebrated the New Year and rooted for the Steelers. We met our new nephew, Maverick. I talked about Mason's transition to speech class through the public school district and Mason at 4 1/2 with new glasses and a new speech class - Part 1 and Part 2. We celebrated Valentine's Day, enjoyed many rainy days, and bought and ate too many Girl Scout cookies. 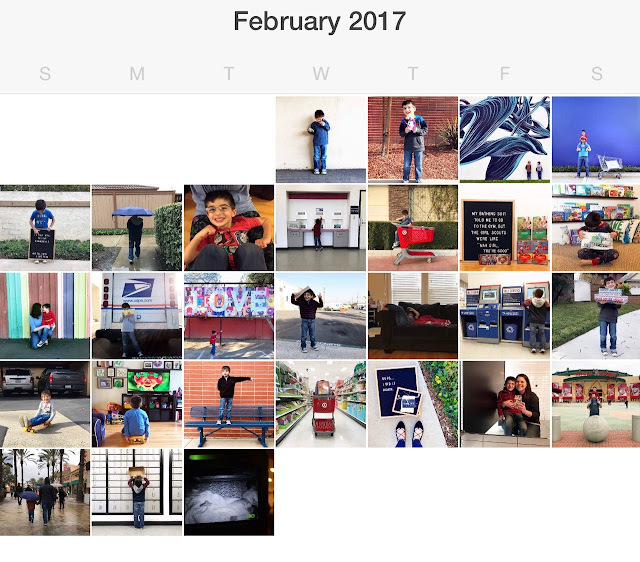 I recapped a fun weekend that we had with friends - wall crawling, going to the aquarium, and celebrating the Super Bowl. 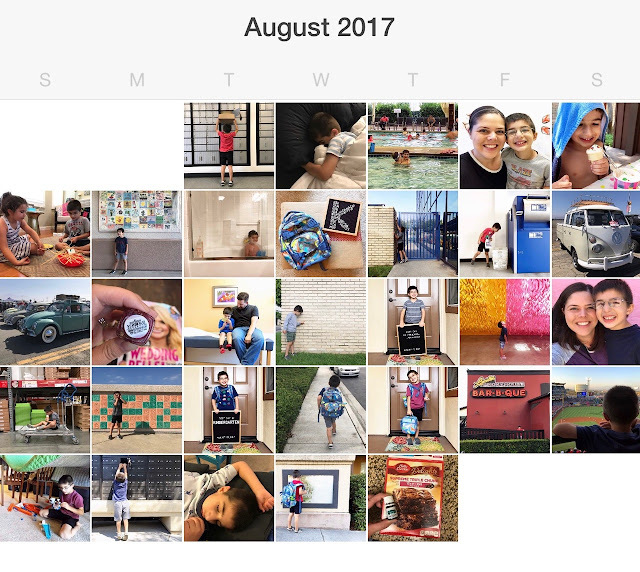 I recapped Seth's birthday, my 5 W's of blogging, and that I got to guest post on the Spectrum Inspired Instagram page. We went strawberry picking for the first time and celebrated Easter early at California Adventure hunting for eggs. 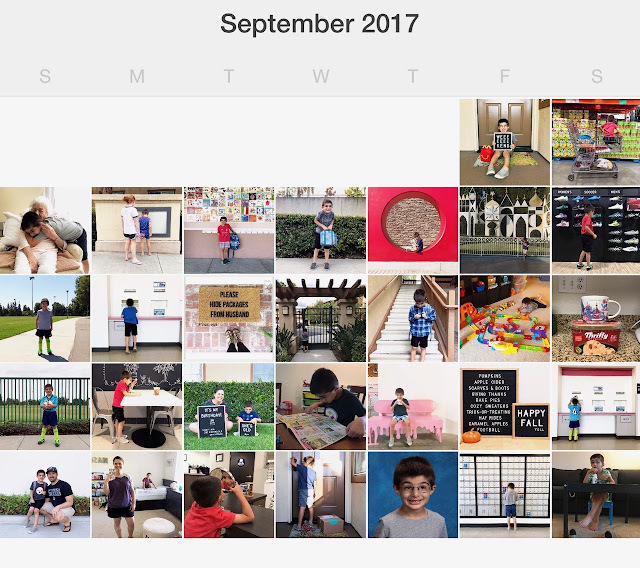 I shared what a typical week in the life is like for us, I talked about our autism journey so far, and I gave some advice for families with children newly diagnosed with autism. We met friends at the aquarium, took a trip to Palm Springs - Part 1 and Part 2, celebrated my niece's birthday and celebrated Mother's Day, went to Seth's work open house, and moved in to our apartment. We took trips to Disneyland, Angels stadium, and Northern California. I back tracked and shared about Easter, my niece's birthday, us moving, and Mason ending speech class. I recapped Mother's Day. We celebrated Father's Day. We celebrated 4th of July and Mason's 5th birthday as well as my sister in law, niece, and father in law's birthdays. I met some blog friends in real life. We went to the OC Fair. Mason started swim lessons again and had his last day of preschool. We went to the Museum of Ice Cream and an Angels game. Mason started kindergarten! We had a crazy busy month and I only blogged once. Mason started soccer and I shared about our roller coaster beginning of school in Part 1 and Part 2. I turned 33! We celebrated Bubbe's 98th birthday, took a trip to the pumpkin patch, and went to Aulani and Kauai. 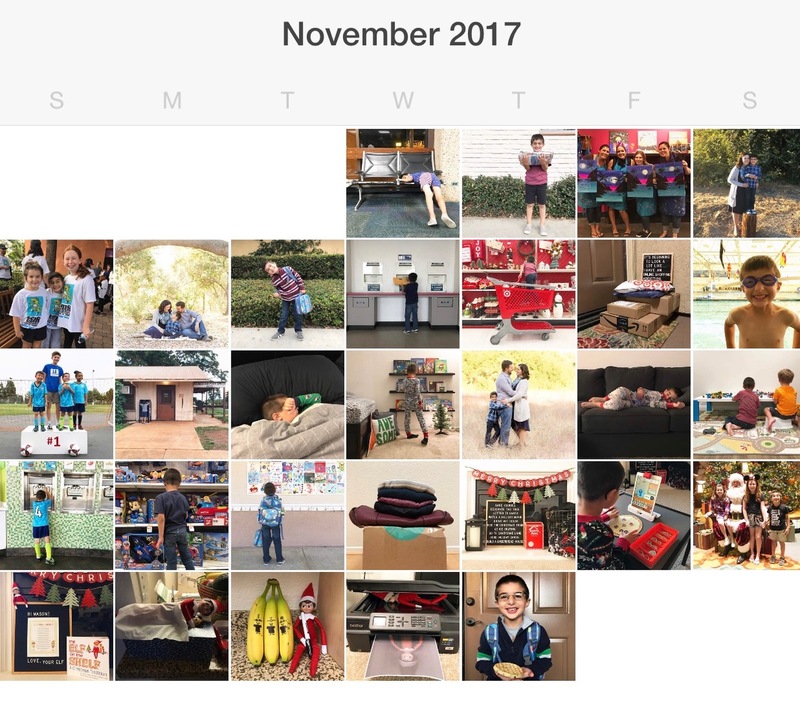 We took family photos, we celebrated our 7th anniversary, Mason ended his first soccer season, we started Elf on the Shelf, and Mason lost his first tooth! I met up with some Instagram friends at Disneyland, we visited our first Christmas tree farm, the elf pulled many shenanigans around our house, we bought our first house!! !, and we celebrated Hanukkah and Christmas. 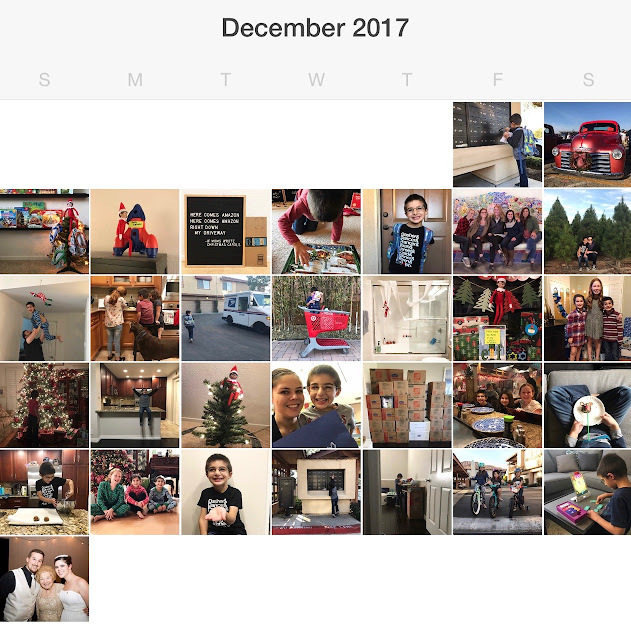 2017 was quite an eventful year! Just looking back on the pictures is crazy for me to see us starting the year in our rented townhouse, then moving to our apartment mid year, and then ending the year in our brand new, purchase home. I love that you do this! 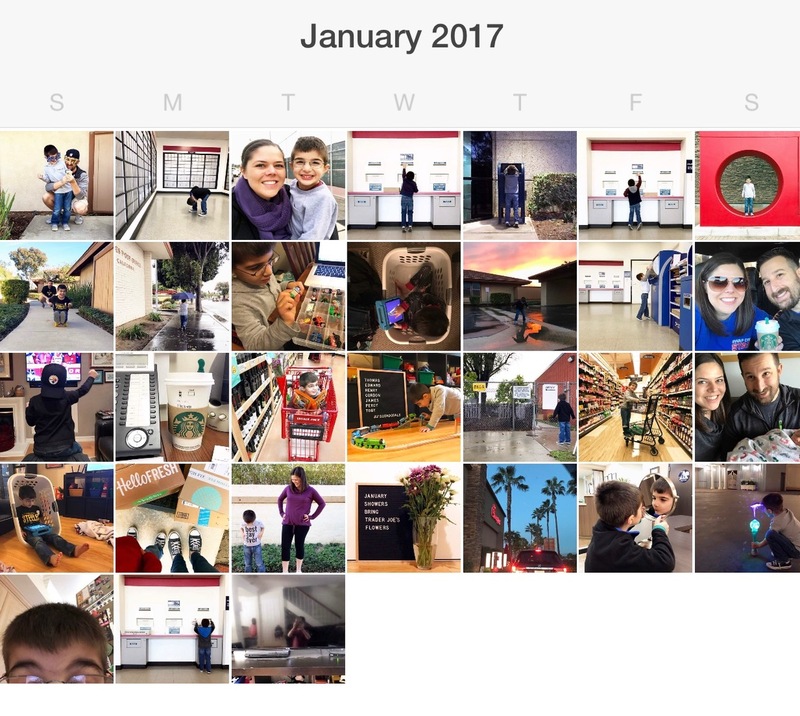 What a year 2017 was. I can't wait to see what 2018 has in store for your sweet family. New home. What what!!!! Look at all those amazing pictures! 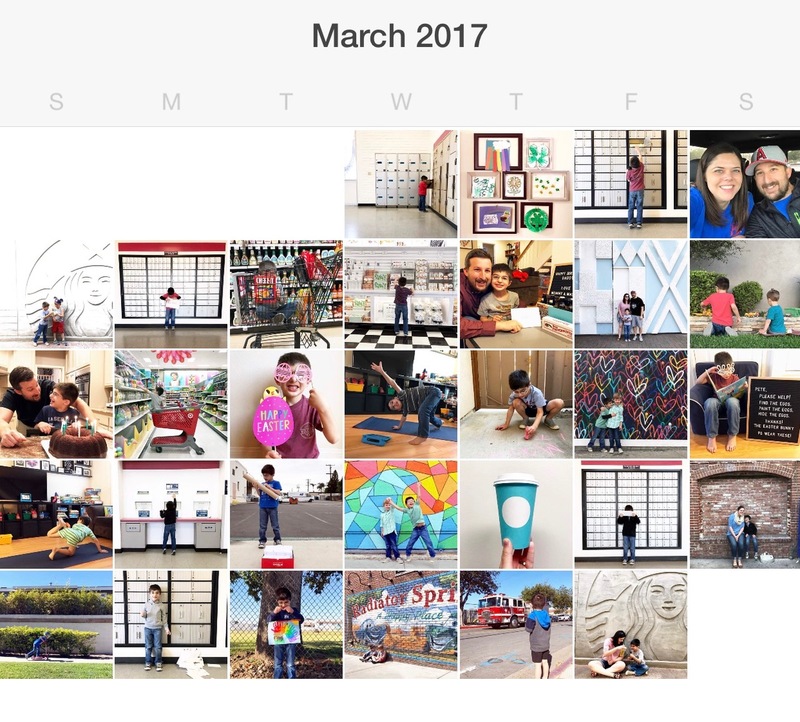 I love seeing them all in the calendar. Ok. 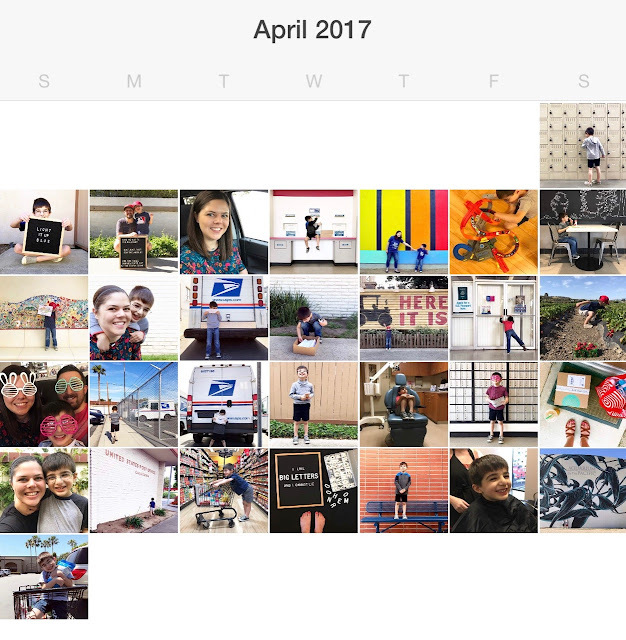 I LOVE that you used Collect as a way to recap some of the highlights in your blog as well. Here's 2018, and more highlights! 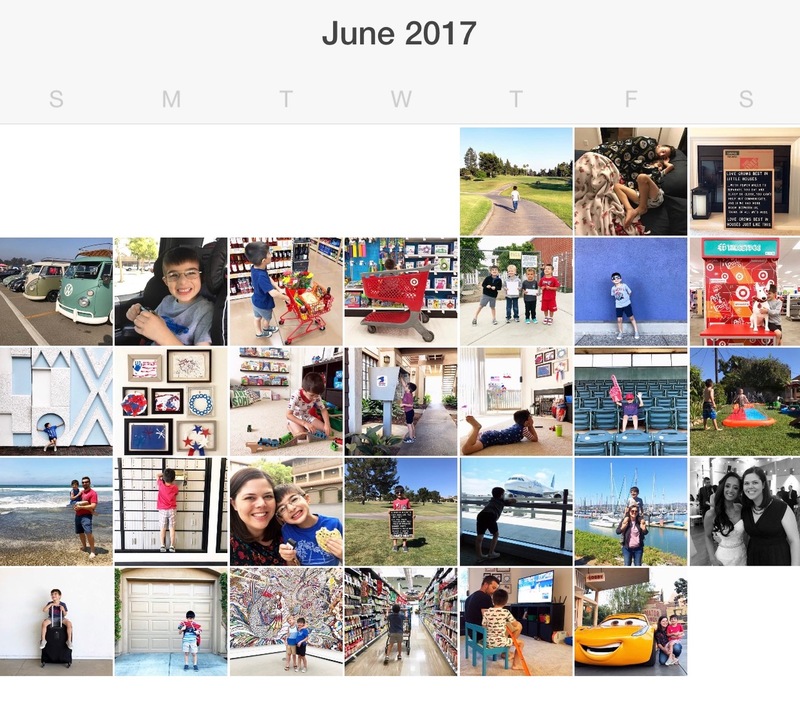 You had such a crazy busy 2017!! I know 2018 has some wonderful things in store for you!